Draft: 2002, Florida Marlins, 4th rd. Joshua Michael Johnson…he and his wife, Heidi, have three sons, Cash, Cruz and Blaze…graduated from Jenks High School (OK) in 2002…named to All-State team as a senior…also played basketball…originally signed by Marlins' scout Darrell Brown. Missed the entire season in his first year with the Padres, undergoing Tommy John surgery on his right elbow on 4/24, performed by Dr. James Andrews...Signed by the Padres to a one-year contract on 11/20/13...Made four starts in Spring Training, going 0-1 with a 3.38 ERA (5 ER, 13.1 IP) and 13 strikeouts against four walks before having his spring cut short due to a right forearm strain...Placed on the 15-day DL on 3/29, prior to the start of the season, before being transferred to the 60-day DL on 4/25 after undergoing surgery the day before...Re-signed to a one-year contract for the 2015 season on 1/7/15. Made 16 starts for Toronto, missing time due to two separate stints on the disabled list...Made the Blue Jays Opening Day roster, making four starts in April before landing on the 15-day disabled list on May 2 with right triceps inflammation...Made three rehab starts between Single-A Dunedin and Triple-A Buffalo before being removed from the disabled list on June 4...Over 12 starts from June 4 - August 6, went 2-7 with a 5.98 ERA (41 ER, 61.2 IP) before landing on the disabled list again on August 14 with a strained right forearm, missing the remainder of the season...Acquired by the Blue Jays on November 19, 2012 in a 12-player trade with the Marlins. Returned from injury-shortened 2011 to make 31 starts and pitch 191.1 innings, both of which were second-highest totals in career (33 starts and 209.0 IP in 2009)...Did not record his first win of season until May 15 against PIT... In seven starts prior, had gone 0-3 with a 5.87 ERA (38.1 IP/25 ER), and opponents were batting .329... Over a nine-start span beginning with first win, went 5-2 with a 2.45 ERA (58.2/16), and held opponents to a .242 average...Won 50th career game on May 20 at CLE, and lowered career ERA to 3.10 in the process... Only active starting pitchers at time who had a lower ERA when winning 50th game were Clayton Kershaw (2.83), Tim Lincecum (2.91) and Barry Zito (3.04)...Had best month of season in June, despite settling for a 2-2 record... Owned a 1.87 ERA (33.2/7) in five starts, which was 5th-lowest mark in National League for month, behind R.A. Dickey (0.93), Zack Greinke (1.70), Johnny Cueto (1.72) and Kyle Lohse (1.80)... Opponents batting average (.205) was tied with Matt Cain for fifth-lowest in NL in June, behind Dickey (.131), Johan Santana (.180), Lohse (.185) and Greinke (.203)...Closed out season with 1-3 record in Sept., despite a 2.91 ERA (34.0IP/11ER) in five starts... Allowed three or fewer runs in each start and limited opponents to five-or-fewer hits...Miami scored just 2.92 runs per 9.0 innings of support, marking the lowest run support average in Majors (min. 30 starts)... Also marked lowest in franchise history for a pitcher who made at least 30 starts, breaking Anibal Sanchez's record of 3.16 in 2011...Allowed just 14 home runs, which tied Aaron Harang (31 GS), Felix Hernandez (33 GS) and Edinson Volquez (31 GS) for the third-fewest in the Majors among pitchers with at least 30 starts, behind Gio Gonzalez (nine in 32 GS) and Lucas Harrell (13 in 32 GS)...Finished first-half of season with a 5-5 record and a 4.06 ERA (102.0/46) in 17 starts, with 85 strikeouts to 34 walks (four intentional)... For his career, is 33-18, 2.71(518.2/156) in 87 first-half appearances (80 starts)... Went 3-9 with a 3.53 ERA (89.1/35) in 14 starts in second-half, notching 80 strikeouts to 31 walks (three intentional)... Overall, is 23-19, 3.73 (398.0/165) in 67 career appearances (64 starts) following All-Star break. Season was cut short by right shoulder infl ammation, which limited him to just ninestarts. Left last start of season early, on May 16 at Citi Field against the Mets, with aright forearm contusion after tossing just 5.0 innings. Placed on 15-day disabled listMay 21 (retro to May 17) and transferred to 60-day DL on June 15...After going 3-0 with a 1.00 ERA (27.0 IP/ 3 ER) over first four starts, was held without awin in final five. Was just as dominant in those five outings, however, going 0-1 witha 2.16 ERA (33.1/8), striking out 29 batters and holding opponents to a .238 battingaverage (29x122)...Since 1913, when earned runs were first officially compiled, posted fourth-lowestERA (0.88; 41.0/4) in Major League history through end of April (min. 40.0 IP). Waspreceded by Fernando Valenzuela (0.20 ERA; 45.0/1) in 1981 and 1985 (0.21 ERA;42.0/1), and Juan Marichal (0.86 ERA; 42.0/4) in 1965...In five starts at home, went 2-0 with a 1.34 ERA (33.2/5), holding opponents to a .155batting average (18x116) with two home runs; also struck out 31 batters and walkedjust nine (one intentional). On road, made four starts and went 1-1 with a 2.03 ERA(26.2/6). Opponents batted .221 against him (21x95) with no home runs; walked 11batters (one intentional) and struck out 25. In his ninth professional season, posted an 11-6 record and a National League-best 2.30 ERA in28 starts for Florida. He led the club in strikeouts (186) and ranked second in innings pitched,third in starts and fourth in wins. He missed the final three weeks of the season with a strainedmuscle in his back, but did not see any DL time ... Led the NL in home ERA (1.57) and held opponents to the 10th lowest average against (.229). HisERA at home was the lowest ever recorded by a Marlin, knocking Kevin Brown's 1.69 ERA in 1996from the top spot ... Made his first career Opening Day start on April 5 at New York, becoming the 11th different startingpitcher to make an Opening Day start for the Marlins and the seventh since 2000. He tookthe loss against the Mets, surrendering four runs on five hits with four walks and three strikeoutsover 5.0 innings ... Named to his second consecutive NL All-Star team after posting the lowestfirst-half ERA in Club history (1.70). Kevin Brown previously held the markwith a 1.89 ERA (119.0 IP/25 ER) in 1996. His 23 earned runs allowed werethe fewest among Marlins starters with 15 or more first-half starts in Clubannals ... Went 2.0 innings in the Mid-Summer Classic, allowing no hits while strikingout two. Marked his first appearance in an All-Star game, as he did notpitch in 2009 ... Paired with Ricky Nolasco to become the only two pitchers in Club history to record at least ninewins prior to the break. Their nine first half wins were tied for the fifth-most in Franchise history.Dontrelle Willis had 13 in 2005 while Nolasco (2008), Ryan Dempster (2001) and Chris Hammond(1993) each had 10 ... Over his first seven starts posted a 3-1 record and 3.35 ERA (43.0 IP/16 ER) and allowed three ormore runs in four of those starts ... In 13 starts after May 8, went 7-2 with a 0.79 ERA (91.1 IP/8 ER), failing to allow more than two runsin any start during that span; allowed two runs on June 26 vs. San Diego. Held opponents to zeroor one run 12 times during the stretch. He was the first pitcher since Greg Maddux in 1995 to go13 consecutive starts without allowing more than two runs ... Earned National League Pitcher of the Month honors in June after going 3-1 with a 1.18 ERA (38.0IP/5 ER) in five starts. He issued just six walks compared to 38 strikeouts ... Held opponents to a .203 average against in the first half, the lowest among Marlins starters inFranchise history. The previous mark was .205 held by Al Leiter in 1996 ... Struck out 123 batters prior to the break, which marked the second-most in Club history, followingA.J. Burnett in 2002 (129) ... On April 26 vs. San Diego, struck out 12 batters in a complete-game win while going 3x4 withthree RBIs as a batter. Only three other pitchers had at least three hits and three-or-more RBIsat the plate while striking out at least 12 opposing batters in the same game: Dazzy Vance didit for the 1925 Brooklyn Dodgers, as did J.R. Richard for the 1976 Astros and Steve Carlton forthe 1977 Phillies. - Elias Sports Bureau Owned a 1.62 ERA over his first 19 starts of the season, becoming only the sixth pitcher in thedivision era (since 1969) to have an ERA that low in their first 19 starts of a season: Vida Blue in1971 (1.37), Gaylord Perry in 1974 (1.45), Greg Maddux in 1998 (1.54), Pedro Martinez in 2000(1.42) and Roger Clemens in 2005 (1.47). - Elias Sports Bureau From July 27 to the end of the season, he went 1-3 with a 4.20 ERA (49.1 IP/23 ER) in eight startsbefore being shut down due to injury ... Made two starts against Roy Halladay in 2010; May 29 at Sun Life Stadium and June 10 atCitizens Bank Park. In three career starts against Halladay, has gone 2-1 with a 0.44 ERA (20.1IP/ER). According to Elias, his ERA is the lowest versus Halladay among pitchers who have startedagainst him at least three times ... On the season, came away with seven no decisions after handing the bullpen the lead, with the seven ND's leading the Majors.Jered Weaver, Kyle Kendrick, Johnny Cueto, Tommy Hanson and John Lackey all had six. - Elias After allowing one run in 8.0 innings on June 20 vs. Tampa Bay, he became the third pitcher over the last 100 seasons to haveeight straight starts of at least 6.0 IP and allow no more than one run. The other two were Bob Gibson in 1968 (11 in a row) andJ.R. Richard in 1979 (8). In his first full season since 2006, went on to post career-highs in wins (15), starts (33), inningspitched (209.0) and strikeouts (191). His wins and innings pitched totals led the club, while his 15wins were tied for the fourth-most in the National League. Among NL starters, he ranked third inwinning percentage (.750), eighth in day ERA (3.08) and 10th in strikeouts...His .750 winning percentage (15-5) was the highest in franchise history among pitchers with atleast 10 wins in one season. Among Marlins single-season pitching leaders, ranked fourth in strikeoutto walk ratio (3.29), tied for fifth in quality starts (23), sixth in ERA (3.23), tied for sixth in gamesstarted, seventh in strikeouts, tied for seventh in wins, eighth in strikeouts per 9.0 innings (8.22) andninth in walks per 9.0 innings (2.50)...He began the season with a career-best 14.2 inning scoreless streak, allowing his first run of theyear in the ninth inning against the Mets on April 12...Earned National League Player of the Week honors on April 14 after going 2-0 with a 0.57 ERAand one complete game in his first two starts. It was the first POW honor of his career...Won his first three decisions of the year, which coupled with wins in his final three decisions lastseason, established a career-best six-game win streak. His longest win streak of the season wasfive games, from July 12 to August 14. In those six starts, had an ERA of2.93 (40.0 IP/13 ER)...Named to the 2009 National League All-Star team, marking his first All-Star selection (did not play). Posted an 8-2 record and 2.74 ERA (128.0IP/39 ER) in the first half of the season...He posted an .818 winning percentage through his first 20 starts of theseason (9-2) to set a club record. The previous high was .733 byDontrelle Willis in 2003 and Carl Pavano in 2004 (both 11-4). In addition, he went 18 starts, fromApril 24 to July 29, without being charged with more than three runs in any start. Only one othercurrent major-league pitcher had ever fashioned such a streak during one season, and that wasJohan Santana in 2004 (22 consecutive starts)....Took the loss on September 22 at Sun Life Stadium, surrendering four runs on seven hits with twowalks and 10 strikeouts in 5.0 innings. Became the second pitcher in Marlins history to strike out10-or-more batters in no more than five innings pitched. John Burkett (10 SO, 5 IP) did it onSeptember 30, 1995, also against the Phillies....Earned the win on August 10 at Philadelphia to improve his career record to 30-13. Accordingto the Elias Sports Bureau, only four other active pitchers reached 30 career wins with as few as13 losses: Tim Hudson (30-8), Roy Oswalt (30-9), Tim Lincecum (30-11) and Jon Lester (30-12)...Hit third home run of the season on August 4 at Washington. Tied the club record for home runsby a pitcher, also done by Dontrelle Willis (2006) and Alex Fernandez (1999). He joined CarlosZambrano and Micah Owings as the third pitcher with three home runs on the year. (Owings'stotal includes one as a pinch-hitter.) There was only one other season in the last 25 in which threepitchers hit at least three homers: Zambrano (6), Jorge Sosa (3), and Dontrelle Willis (3) in 2006....Connected for second career home run on July 29 vs. Atlanta. It marked the second time he hita three-run home run this season (also on June 4th vs. Milwaukee). Only one other pitcher overthe last 20 years has hit two home runs in a season with at least two men on base: the PhilliesRobert Person in 2002 (hit a three-run home run and a grand slam in the same game). Began the season on the disabled list recovering from 'TommyJohn' surgery...underwent surgery, Aug. 3, 2007, by Dr. JamesAndrews...began rehab assignment on June 14, less than oneyear after his surgery...posted a 1-2 record and 3.68 ERA (29.1IP/12 ER) in five rehab starts prior to being activated from 60-day DL on July 10...Made first start of the season, July 10 at Los Angeles...allowedthree runs on six hits with no walks and six strikeouts over 5.0innings...Earned victories in his first four decisions, posting a 3.25 ERA (63.2IP/23 ER) over a period of 10 starts...his four-game win streak tostart the season equaled a career-best, as he also won fourconsecutive decisions from June 13-July 8, 2006...ended theseason by winning his final three starts...the Marlins were 11-3 ingames that he took the mound, and in nine games following aMarlins' loss, he posted a 5-1 record...Tossed first career complete game on August 27 at TurnerField...allowed one run on four hits...marked the Marlins secondcomplete game over a seven game stretch, as Ricky Nolascoended a Major League record 301 game CG drought for theMarlins, August 18 at San Francisco...Took only loss of the season on September 7 at STL...surrenderedthree runs on seven hits over 6.2 innings...Struck out a career-best nine batters, September 13 vs.Washington...His finest month came in August, as he went 3-0 with a 2.38 ERA(34.0 IP/9 ER) in five starts...He allowed four or more runs in a game only two times whileholding opponents to two-or-less runs in half of his starts...Reached 5.0-or-more innings in each of his 14 starts...had twostarts of 5.0 innings, July 10 at LAD and September 19 at PHI,marking his shortest outings of the season. Made four Major League starts in 2007 before having season-ending Tommy John surgery on August 3. Began season in bullpen, going 1-2, 3.86 in seven appearances before breaking into the rotation full-time on May 4...went 11-5,3.03 in 24 starts...One of four Marlins rookies to win 10 games, becoming the first quartet of rookie 10-game winners in Major League history...Got first Major League win, April 18 at Cincinnati, with 3.0 scoreless innings in relief in 12-6 Marlins win...Made first start on May 4 at Washington, winning 11-3...allowed one hit in 5.0 innings, with two runs, three walks and four strikeoutsfor first win as a starter...Named NL Rookie of the Month twice: May, going 3-1, 1.96 in six starts; June (Co-winner, along with Dan Uggla), going 3-1, 1.78 infour starts...In a span of five starts, May 26-June 18, started opposite Pedro Martinez, Jason Schmidt (twice), John Smoltz and Roy Halladay;went 3-2 with a 1.38 ERA over those five games...Allowed just one home run in first nine starts (55.1 IP)...was 8-4, 2.21 in 19 games, 12 starts, prior to the All-Star break, including winninghis last four decisions of the first half...lowered his ERA under 3.00 (2.78) after start on May 10, and kept it under 3.00 until second-to-last start of the season, a span of 21 starts...Was leading the NL in ERA at the end of July (2.52), the first rookie to lead the NL in ERA at the end of July since Mark Gardner,Montreal, in 1990 and just the third NL rookie ever to enter August leading the league in ERA (also Lou Fette, Boston in 1937)...ledthe NL in ERA after start on August 28 vs. Milwaukee with 2.87 ERA...Got a no-decision in his last start of the season, a 6-4 loss vs. New York (NL) on Sept. 12, leaving after 5.0 innings with a 4-0 lead withtightness in right forearm...returned in fifth inning after a one-hour, 22-minute rain delay...missed remainder of the season with astrained right forearm...Had four hits on the year, going 4x42 with two doubles and three RBI...had a 2x3 performance with a double and 2 RBI July 31 atPhiladelphia. Went 0-0 with an ERA of 3.65 in four games (one start) with Florida... allowed 5 earned runs in 12.1 innings with 11 hits, 10walks and 10 strikeouts... Made his Major League debut in relief on September 10 at Philadelphia... allowed no runs on one hit and two walkswith one strikeout... made his first Major League start against Atlanta on September 30... earned a no-decision, allowingtwo earned runs on four hits with four walks and seven strikeouts over 5.1 innings in a 5-2 Marlins win... went 0-0 with3.86 ERA in three relief outings (7.0 IP)... tossed 4.0 innings of relief on September 24 at Atlanta, allowing three hits andone walk with one strikeout... Recorded his first Major League hit on September 30 with a single in the fifth inning against Atlanta's John Thomson...he also scored his first Major League run in the fifth inning of that game... Finished season 12-4 with a 3.87 ERA in 26 starts with Carolina (AA)... the 12 wins tied him with James Russ (A) for most inthe organization... also finished among organizational leaders in innings pitched (5th - 139.2), strikeouts (4th - 113) andwinning percentage (min. 15 starts) (2nd - .750)... established new career bests in wins (12), strikeouts (113) and inningspitched (139.2) with Carolina... Named the Marlins Minor League Pitcher of the Year... also named the Marlins Minor League Pitcher of the Month forAugust... was 3-0 with a 2.83 ERA, allowing 11 earned runs over 35.0 IP, recording 25 strikeouts and holding opposingbatters to a .220 average... named to Southern League All-Star team and earned the win, throwing a scoreless inningwith three strikeouts... Allowed two earned runs or less in 18 of 26 starts this season... allowed no earned in runs five starts this season. Spent first year in High A ball, going 5-12 with a 3.38 ERA for Jupiter, making 22 starts and a relief appearance...threw 114.1 innings and allowed 124 hits for a .285 BAA...gave up 63 runs, 43 earned, four homers and 47 walks while striking out 103...threw 5.0 innings or more in 15 of his 22 starts, including a season-high 7.0 on July 20 vs. Dunedin, allowing no runs, four hits and three walks, while fanning six...opened the season with a 1.80 ERA over his first three starts, eachcovering 5.0 innings, allowing a total of nine hits and five walks in the 15.0 innings while striking out 17...only relief outing came on June 18 vs. St. Lucie, when he worked 5.1 shutout innings, fanning seven and giving up three hits and two walks...low-hit game came on July 3 at Palm Beach, when he allowed one hit and no runs in 6.0 innings of work, getting the win...threw a season-high three wild pitches on July 14 vs. Clearwater, allowing six runs in 4.0 innings...final win came in final start on August 30 at Palm Beach, when he threw 5.0 shutout innings... was fifth shutout performance of the season...went 1-2 in final six starts, allowed one earned run in three outings and no earned runs in the other three, lowering his season ERA from 4.54 to 3.38... threw 33.0 innings in those starts, fanning 33 and walking 12... July ERA was 2.78 and August ERA was 1.20... .218 BAA in August was a season-low...48 walks allowed were fourth-most in the organization... 3.46 ERA ranked fifth in the organization. Went 4-7 with a 3.61 ERA with Low A Greensboro in 2003, holding opponents to 69 hits in 82.1 innings, a .223 batting average...four wins all came in a span of five starts from June 28 - July 24, in which he worked 28.0 innings and allowed 12 hits and six runs, a 1.93 ERA, lowering his season ERA from 5.92 to 3.78...from June 21 through end of season, had a 2.64 ERA...worked at least 5.0 innings in all starts from June 28 - August 25. Made pro debut in 2002, pitching in four games with the rookie level Gulf Coast Marlins, going 2-0 with a 0.60 ERA in 15.0 innings, allowing three runs, one earned...gave up eight hits and three walks, fanning 11, holding opponents to a .154 BA...pro debut was a relief outing, where he gave up an unearned run in 2.0 innings...other three games were starts. December 28, 2016 RHP Josh Johnson assigned to Richmond Flying Squirrels. November 18, 2016 San Francisco Giants signed free agent RHP Josh Johnson to a minor league contract. November 2, 2015 RHP Josh Johnson elected free agency. September 4, 2015 San Diego Padres sent RHP Josh Johnson on a rehab assignment to Lake Elsinore Storm. January 7, 2015 San Diego Padres signed free agent RHP Josh Johnson. 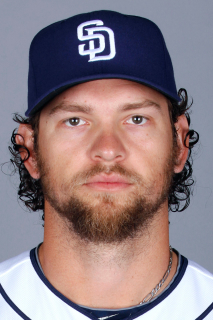 October 31, 2014 San Diego Padres activated RHP Josh Johnson from the 60-day disabled list. October 30, 2014 RHP Josh Johnson elected free agency. November 20, 2013 San Diego Padres signed free agent RHP Josh Johnson. October 31, 2013 Toronto Blue Jays activated RHP Josh Johnson from the 60-day disabled list. September 3, 2013 Toronto Blue Jays transferred RHP Josh Johnson from the 15-day disabled list to the 60-day disabled list. Right forearm strain. August 13, 2013 Toronto Blue Jays placed RHP Josh Johnson on the 15-day disabled list retroactive to August 7, 2013. Right forearm strain. June 4, 2013 Josh Johnson roster status changed by Toronto Blue Jays. June 4, 2013 Toronto Blue Jays activated RHP Josh Johnson from the 15-day disabled list. May 25, 2013 Toronto Blue Jays sent RHP Josh Johnson on a rehab assignment to Buffalo Bisons. May 20, 2013 Toronto Blue Jays sent RHP Josh Johnson on a rehab assignment to Dunedin Blue Jays. May 2, 2013 Toronto Blue Jays placed RHP Josh Johnson on the 15-day disabled list retroactive to April 29, 2013. Right triceps inflammation. November 19, 2012 Miami Marlins traded 2B Emilio Bonifacio, C John Buck, LHP Mark Buehrle, RHP Josh Johnson and SS Jose Reyes to Toronto Blue Jays for RHP Henderson Alvarez, SS Yunel Escobar, SS Adeiny Hechavarria, C Jeff Mathis, RHP Anthony DeSclafani, CF Jake Marisnick and LHP Justin Nicolino. October 31, 2011 Josh Johnson roster status changed by Florida Marlins. June 15, 2011 Florida Marlins transferred RHP Josh Johnson from the 15-day disabled list to the 60-day disabled list. May 21, 2011 Florida Marlins placed RHP Josh Johnson on the 15-day disabled list retroactive to May 17, 2011. Right shoulder inflammation.